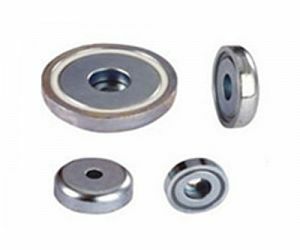 When you see neodymium magnets classified as N35,N38,N40,N42,N45,N48,N50,N52.Have you ever wondered what it means?The letter N short for words neodymium.And the number after N represents the grade of the magnet.In general,the higher the grade the stronger the magnet.The highest grade so far in neodymium magnet is N52.If a magnet is labled as N42SH,then 42 depicts the strength of the magnet and SH refers to the temperature rating of the magnet.If the numbers are not followed by any letters,it means that the magnet is standard temperature neodymium. 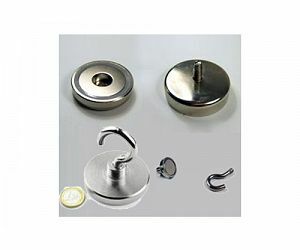 strong neodymium magnets are Mounting Magnetsthat are set inside a steel cup. 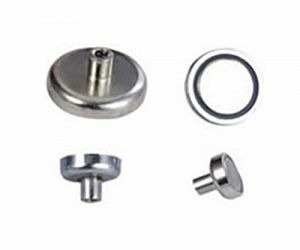 Part US customers called Round Base Magnets too. They include countersunk holes or threaded features that allow for mounting with standard hardware, as well as various hooks. The magnets are magnetized together with the casings to create a holding force that is significantly stronger than an individual magnet. 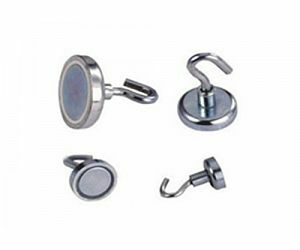 We can easily attach hooks, knobs, PEMs or other fasteners to accommodate your specific holding requirements. 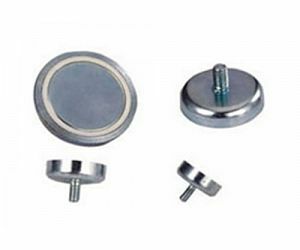 B.K MAG manufactures supply millions of neodymium magnets since 2008 . 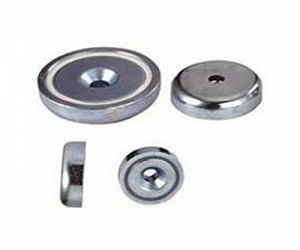 Now we has grown into the largest neodymium magnets vendor in China . We are sure B.K MAG will be your great magnet solution source .